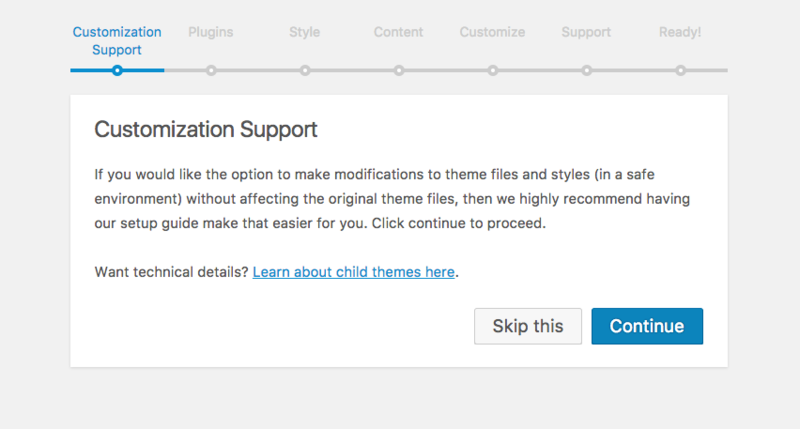 If you would like the option to make modifications to theme files and styles (in a safe environment) without affecting the original theme files, then we highly recommend having our setup guide make a child theme for you. Your website needs a few essential plugins. 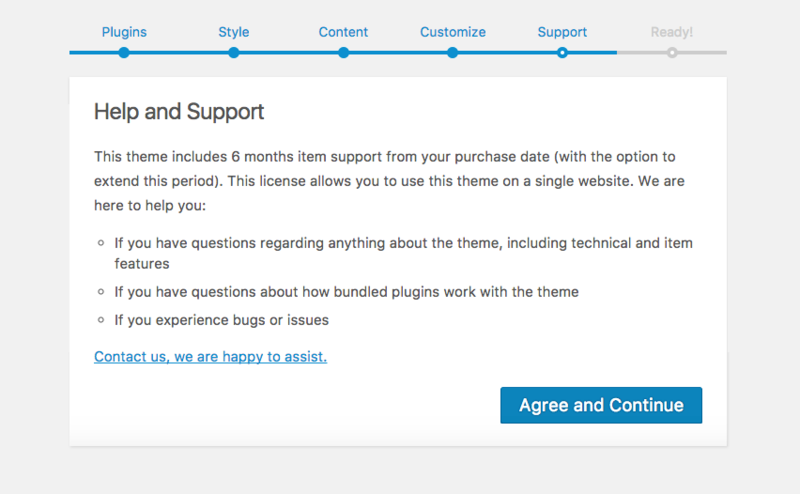 Don't worry, you can add and remove plugins later on from within WordPress. Which demo would you like to install? 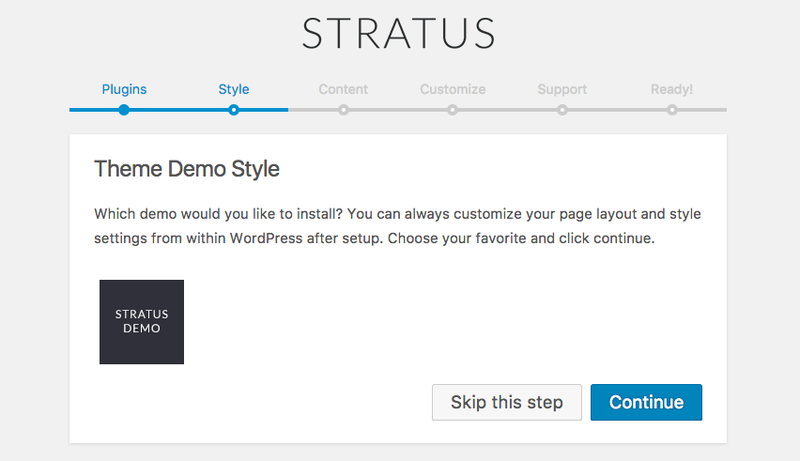 You can always customize your page layout and style settings from within WordPress after setup. 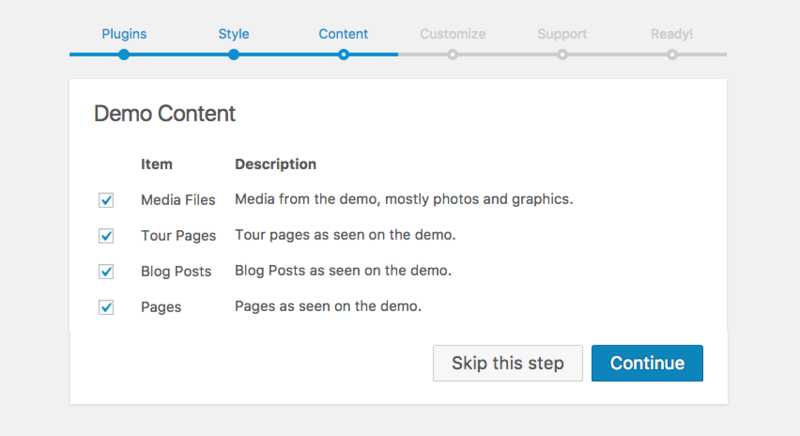 Getting started is easier with demo content. We recommend checking all boxes as you can always choose to remove content from within WordPress after setup. Just a few helpful notes. 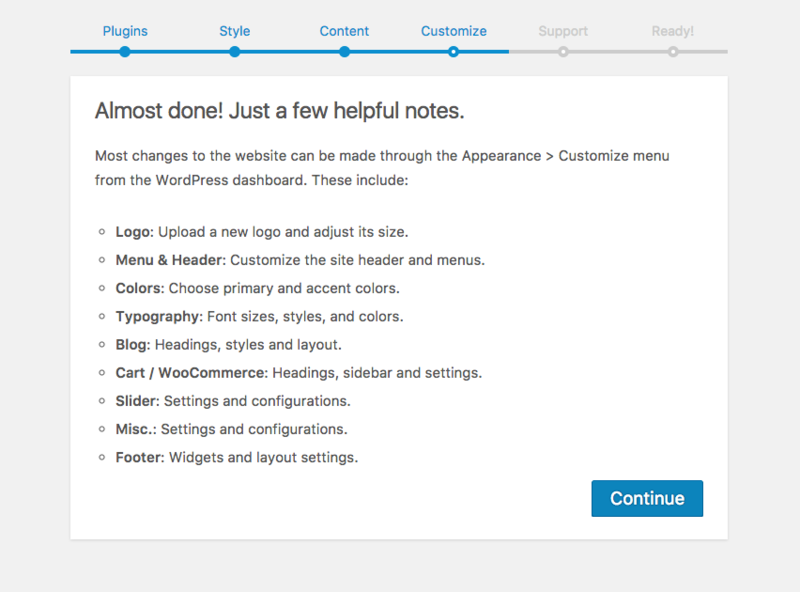 Most changes to the website can be made through the Appearance > Customize menu from the WordPress dashboard. Where to find help and support, if you need it. Congratulations! 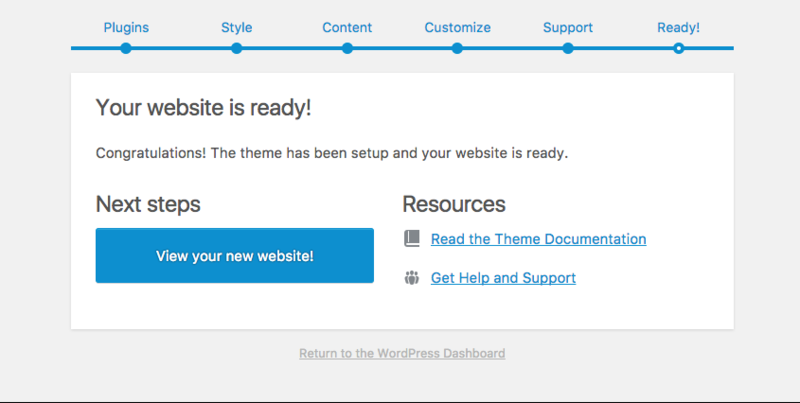 The theme has been setup and your website is ready. Get up and running in about 3 minutes!